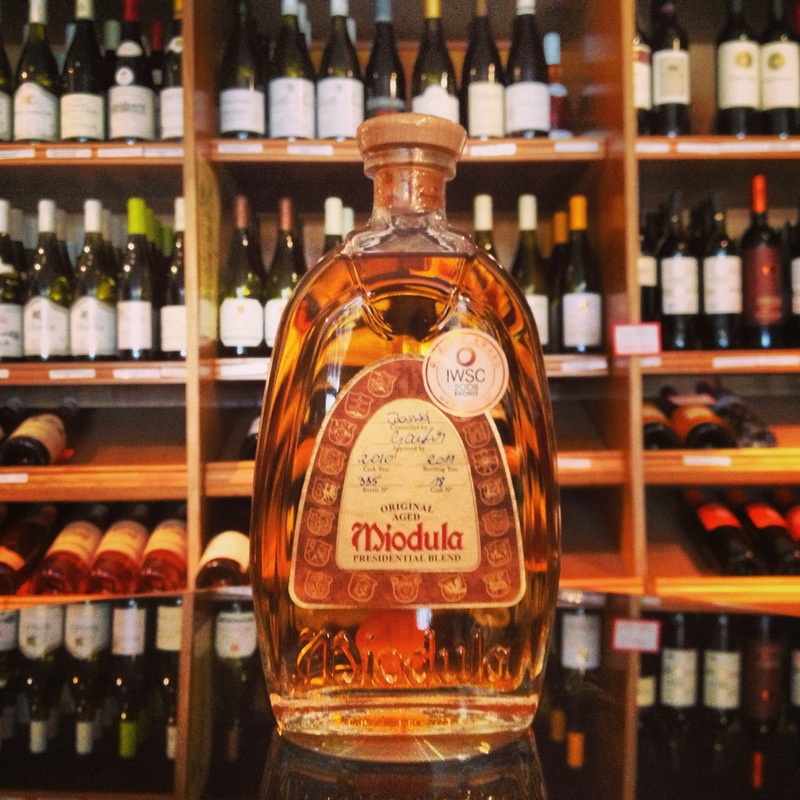 Miodula is a Polish brand that comes under the honey liqueur category, with vodka as its base. There’s many a honey flavour out in the market at the moment, with the resurgence of bourbon based brands including Jack Daniel’s and Wild Turkey taking over more established names like Krupnik. But Miodula has come straight from Toorank Distillers in Holland with force, and looks to bring back the days of original recipes. Its based upon a 1772 Polish recipe, and represents Poland’s answer to fine cognac. Produced from honey gathered from the mountain area of southern Poland, the honey is then blended with Polish rye vodka, distilled in the Wisla region of Poland alongside natural vanilla, herbs and Wisla mountain spring water. It is then aged in Polish oak casks for one year. Only 4000 bottles of Miodula are produced each year, with 500 of these set-aside for the Polish President to use as diplomatic gifts (hence the presidential blend name). Miodula is not only hand-bottled, but also individually numbered by hand stating the cask number and year cask and bottle were filled. Very sweet on the nose, with a rich aroma of both toffee and vanilla, with a long scent of honey following. Very rich on the palate too, with flavours of honey and subtle herbs blending well, and oak creating a short and dry finish. Miodula is great on its own or over ice, especially if you have a sweet tooth like me. It is, however, recommended to be served warm – cupped within a brandy glass in your hand. If you choose to enjoy Miodula, you’ll be happy to know that is has been awarded the Teraz Polska Award for quality – the only spirit brand ever to have been awarded this highest of Polish accolades. It was awarded by the Polish President on behalf of the Polish Government and is awarded only to products of the highest quality (Toorank is one of only 70 companies ever to have received this award in Teraz Polska’s history). Miodula was also awarded a Silver Medal ‘Best in Class’ in the IWSC 2010 awards and also a Gold Medal in the The Spirits Business Vodka Masters 2010.
try these methods and you might find that they work for you. It is time to reinvent yourself and become the person you’ve always wanted to be. “optimally fit”, we may all be subject to the dreaded “Double Chin” especially as we age. offer group training sessions, which are usually less expensive. An infrared sauna is an enclosed room that is kept at high temperatures. Ask friends and neighbors if they have a spare foam or rubber ball lying around. her own idea of how the session should go. and the device acts as massaging product. Also, focus on what to do with your hands and pay attention to facial expressions. Because thoughts like these seem to appear out of thin air just when you decide to start an exercise program to lose some weight.